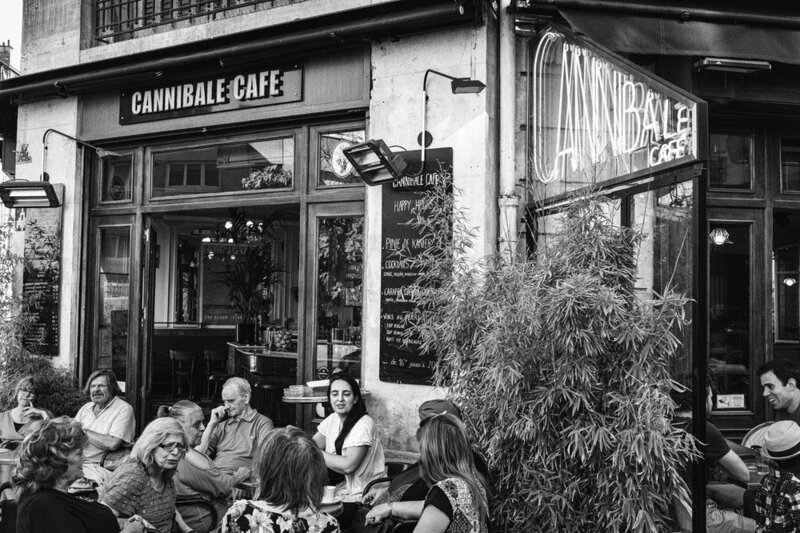 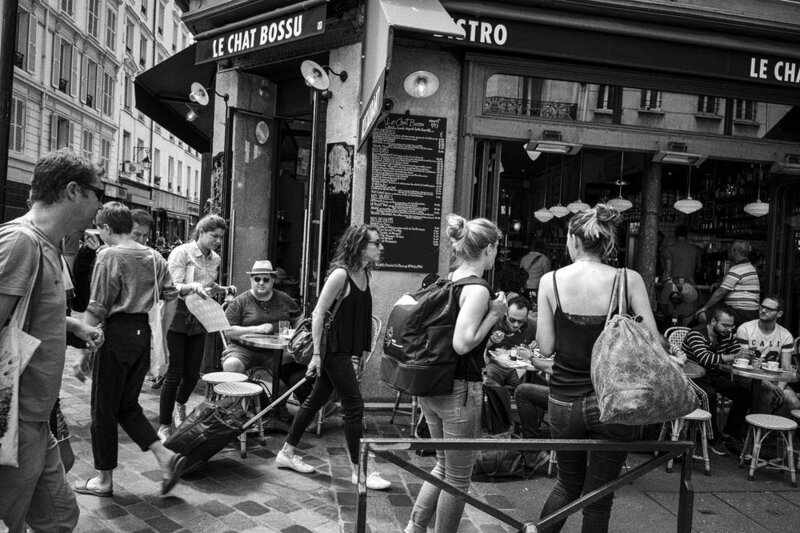 Few places are more quintessentially parisian than the sidewalk terrasses of a neighborhood café. 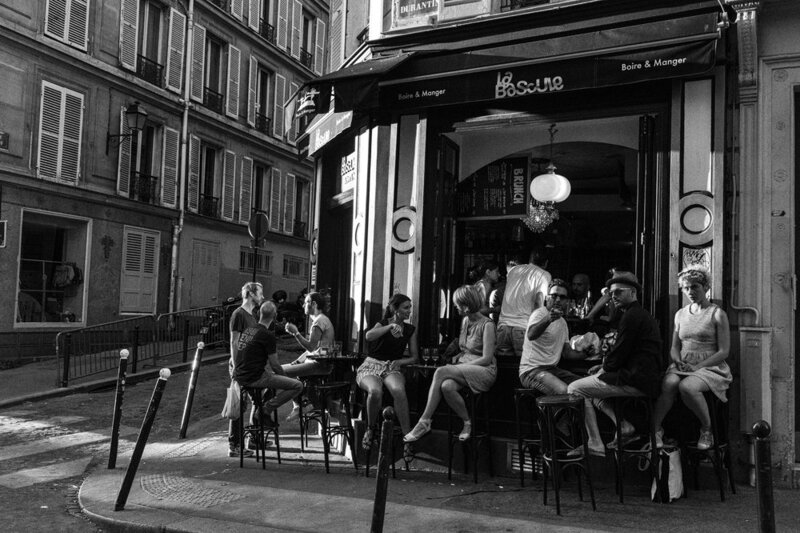 Not the ones on the major tourist boulevards, but the local joint which is a home away from home, where friends gather to shoot the breeze, have a glass and a smoke, and be merrier-than-usual in this normally grumpy city. 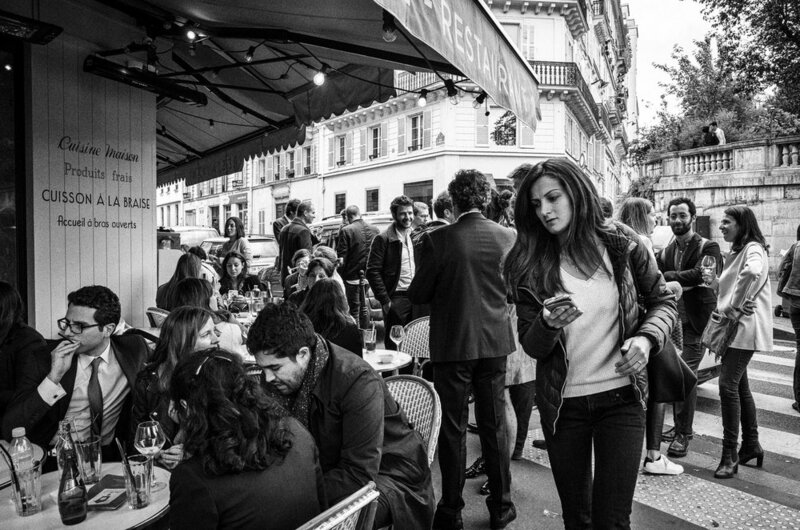 Even more so when the weather turns nice, and the terrasse becomes a haven of quasi-holiday where for a time you can dress down and forget that you are still stuck in the tarmac jungle and not yet enjoying your God-given right to your congés.